TIME TO RE-LIVE THE GOLDEN ERA! If your staying all night or just want to grab a cheap B+B in Bedford here are some of the cheap ones. 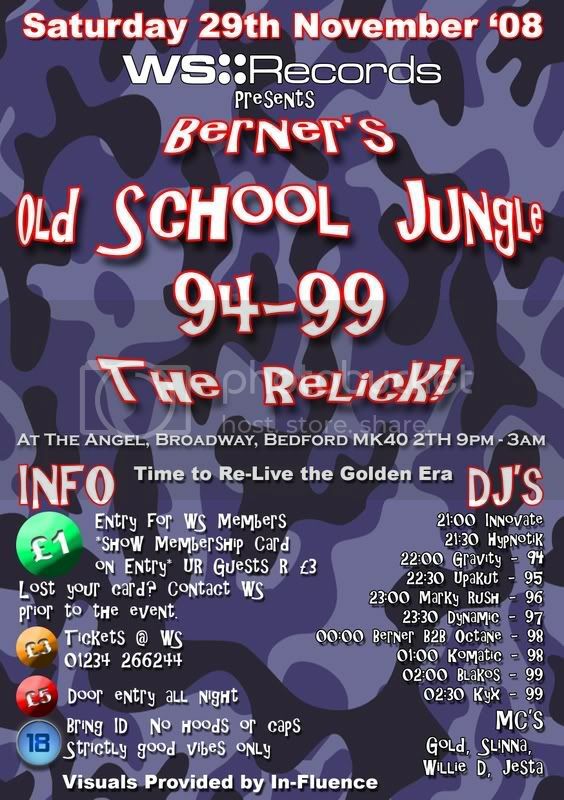 BRING ID IF YOU LOOK UNDER 18, OVER 18’S ONLY - STRICT SECURUTY BUT POLITE! NO ATTITUDE TOLERATED, STRICTLY GOOD VIBES ONLY!